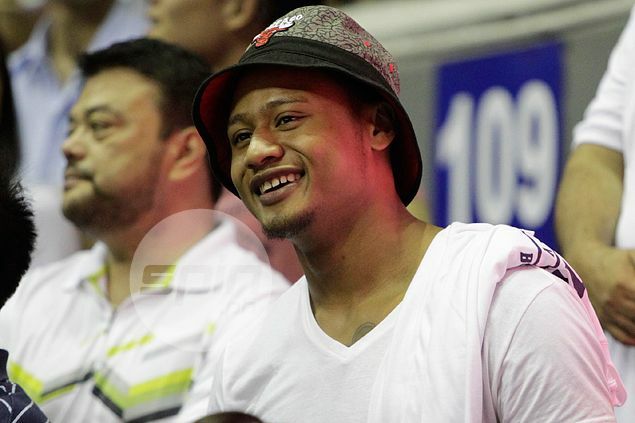 BOBBY Ray Parks' agent said his US representatives were hoping the Fil-Am player would be picked by Dallas in the NBA Rookie Draft on Friday until the Mavericks made 7-foot-2 Indian Satmar Singh their second-round selection at 52nd overall. Local agent Charlie Dy said he was told by Parks’ US agent about the Mavericks’ interest the day before the NBA Draft. “Yesterday, na-excite ako nung tumawag ‘yung agent niya na may chance daw na ma-pick siya sa No. 52 although hindi namin siya sinasabihan because we don’t want him to expect. Ako ‘yung medyo nagdasal and hoping na talagang magkatotoo,” said Dy. Dy said Parks’ agent didn’t mention specifically why Dallas was interested in Parks but the two-time UAAP MVP said the workout with Dallas was the best he had among the five pre-draft camps he attended. “I think kasi even si Ray he was saying that ‘yung sa lahat ng workouts niya, ‘yun ‘yung pinakamaganda with Dallas,” said Dy. Unfortunately for Parks, the Mavericks, according to his US agent, went for Singh when the 7-2 Indian player remained available when it was their turn to pick. “’Eto kasi 7-2 eh,” Dy said. Despite the setback, Dy said Parks remained happy that he was invited by NBA teams to work out. He is also planning his next move, with a stint in the summer leagues the likely option. “We never expected kasi ang plano niya talaga is to play in the summer league para makita siya maglaro because he didn’t play college ball in the US. Mahirap nga naman kasi one session lang naman ‘yung mga tryout. “He was very grateful that he got the invitation from the five teams. Masaya siya na nabigyan ng ganung opportunity kasi talagang officially invited siya. Pinapadala niya sa akin ‘yung invite at ‘yung itinerary,” Dy said. Singh, who wears a size-22 basketball sneaker, has spent the last five seasons playing at IMG Academy in Florida. He came to the US from India when he was 14 and is now the first player born in India to be drafted in the NBA. Singh says, "Now in India I think everyone's so happy." The Mavericks say Singh will sign a D-League contract and develop with the Texas Legends.